We are a family run business established in the 1940's when my grandfather Leslie Shepherd started selling his own grown farm produce at Swansea Market. Sadly he died when he was only 56 years old and his daughter Beryl Shepherd now 'Beryl Dixon' took over the running of the market stall. Well nearly 70 years later here we are setting up a website for 'online shopping'. 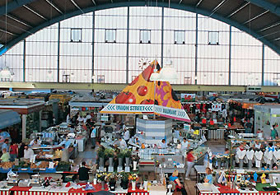 We have seen many changes throughout the years and have had our ups and downs. We have gone from counter service to self service, pen and paper to electric till and computer, from manual scales to electric, pounds, shillings and pence to decimalisation and also most recently from pounds and ounces to the controversial kilo's and grammes. We have had the challenge of the supermarkets of which many greengrocers have sadly fallen, but proudly we are still here to tell the tale. We pride ourselves with fresh quality produce delivered daily and locally sourced as much as possible, continuity, knowledgeable friendly and experienced staff and enjoy being part of the community. We now run 2 shops in the Mumbles area of Swansea which have been established for over 20 years as well as the market stall in Swansea where we originally started. 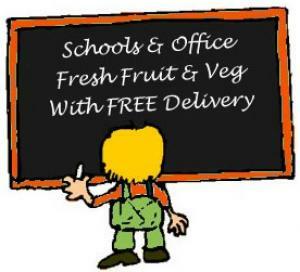 We supply and deliver fresh produce to many hotels, restaurants and offices and we are also proud to be part of the 'Healthy Schools' programs where we deliver fresh fruit to many Schools in the Swansea and outer Swansea areas for the school tuck shop schemes. We are excited and we are looking forward to this new venture and would like to thank all old and new customers for supporting us.